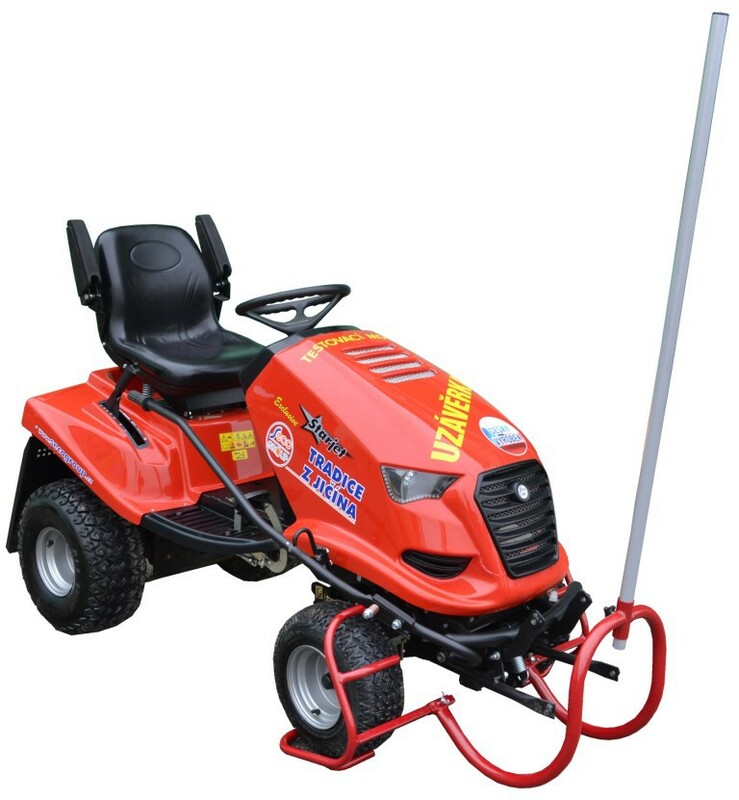 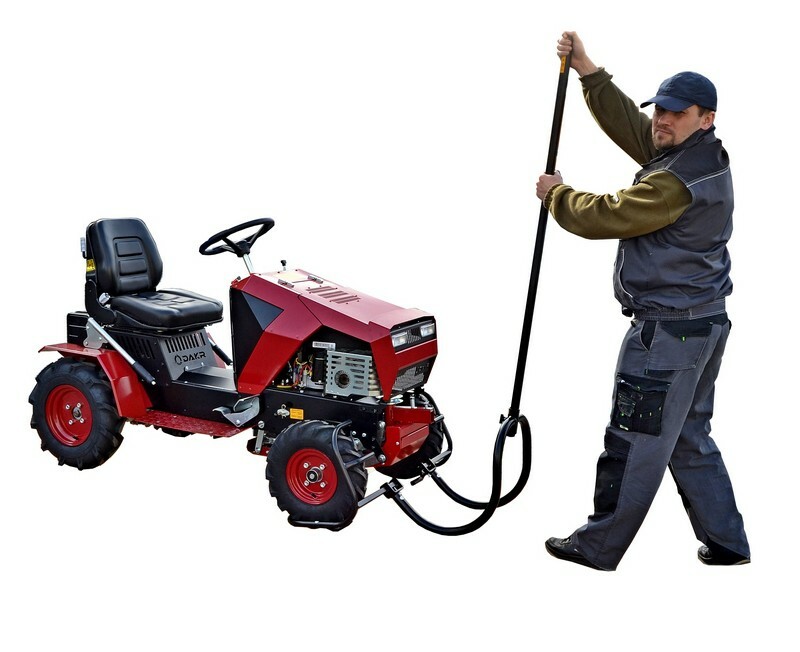 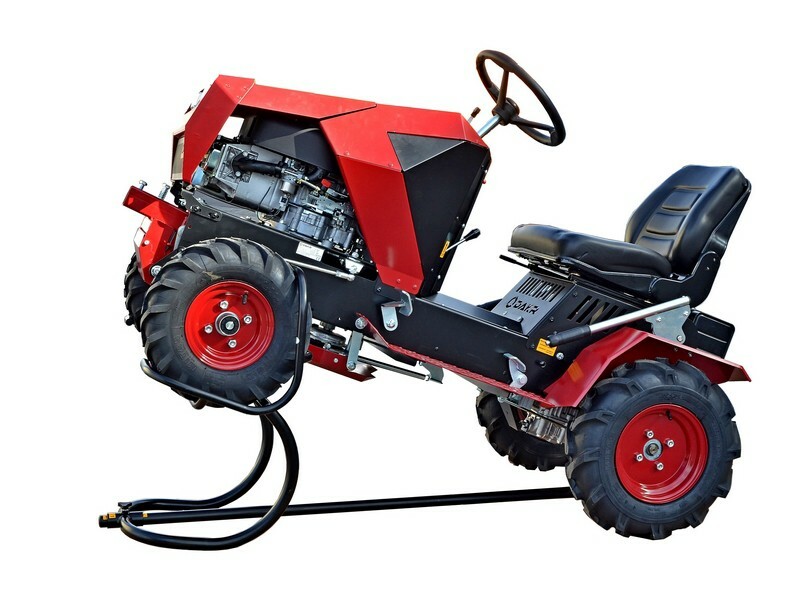 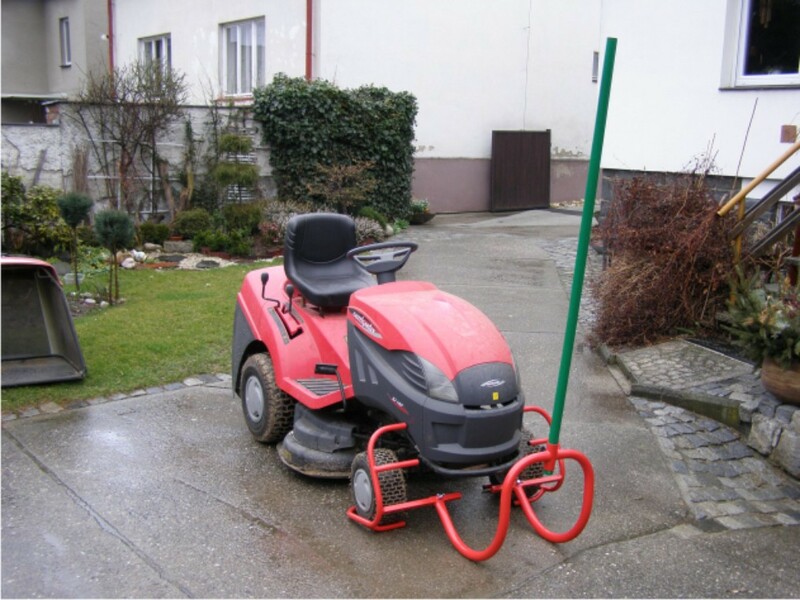 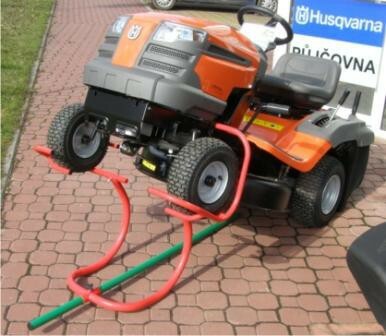 The lift is designed for fast lifting of the lawn tractor to its front wheels. 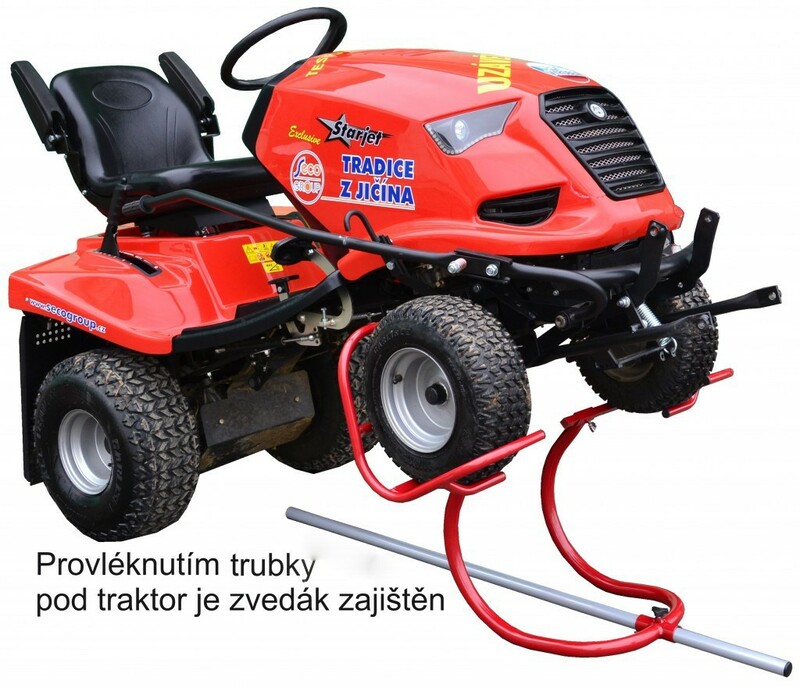 It is adjustable according the wheels outer profile. 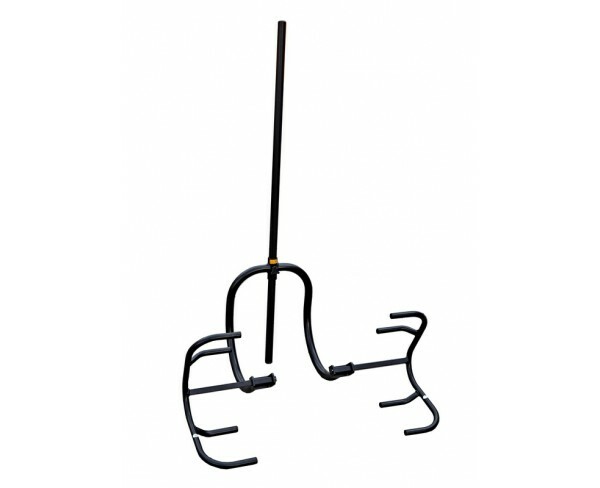 It is used similary as a cradle. 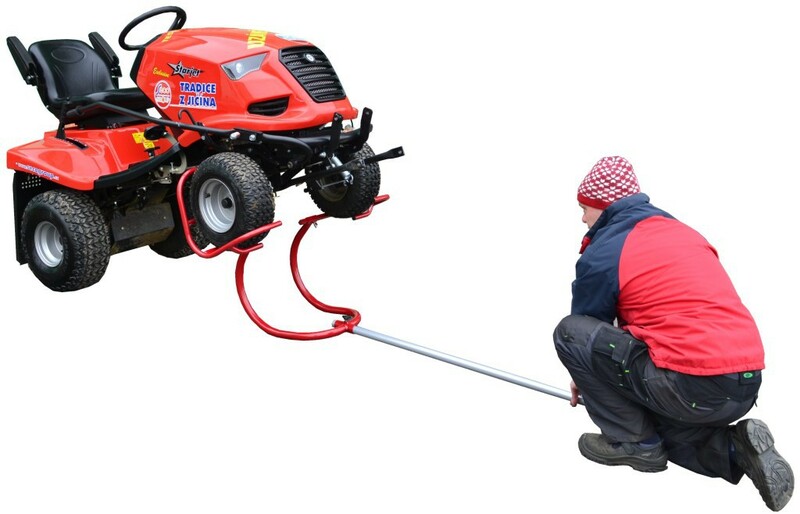 The bottom edge of the wheels is lifted in 45 cm height above the ground. 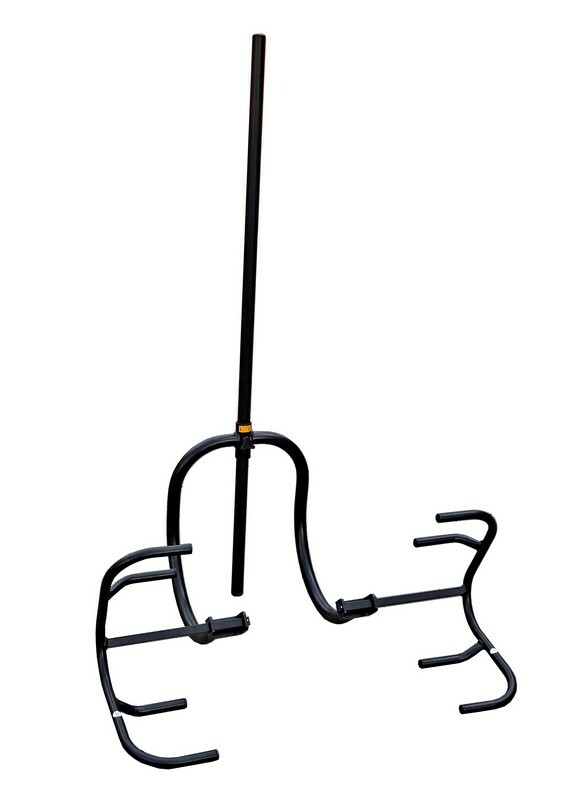 You can take the jack in 4 pieces after use to spare a storage space.